When the iPhone 5(s AAPL) first came out, I had to choose between continuing to use my iPhone 4S with a Mophie Juice Pack Air, or get the new iPhone 5 without an integrated battery pack case. Thinking that I would not have to wait very long for Mophie to come out with a new case designed for the iPhone 5, I decided to go with the iPhone 5. Four months of following the drama surrounding Apple’s new Lightning adapter ensued and last week Mophie released a new battery pack for Apple’s latest iPhone. Now, I finally have the new Mophie Juice Pack Helium for the iPhone 5 that I plan to use day to day. It looks great, but as I’ll explain, it may take a bit of time to get used to the new model. With the Mophie Juice Pack Air for the iPhone 4S, my initial impressions were that it made the iPhone a little bulkier. The iPhone felt thicker. With the latest model, the Mophie Juice Pack Helium, the first impression I had was that my iPhone was longer, while I barely notice that the phone is any thicker at all. Getting my hand around the iPhone 5 was already a bit of a challenge because of the slightly larger screen, but now with the Mophie Juice Pack Helium, I find myself scootching my hand up and down the back of the case in order to reach and touch every point on the screen. Like trying to press the home and power buttons at the same time. Until I get more comfortable and find the best way to hold the iPhone in its new case, I may be using two hands more often than I like to perform basic operations. On the Mophie Juice Pack Air for the iPhone 4S, the top of the case fit around the headphone jack in a similar fashion to other cases. 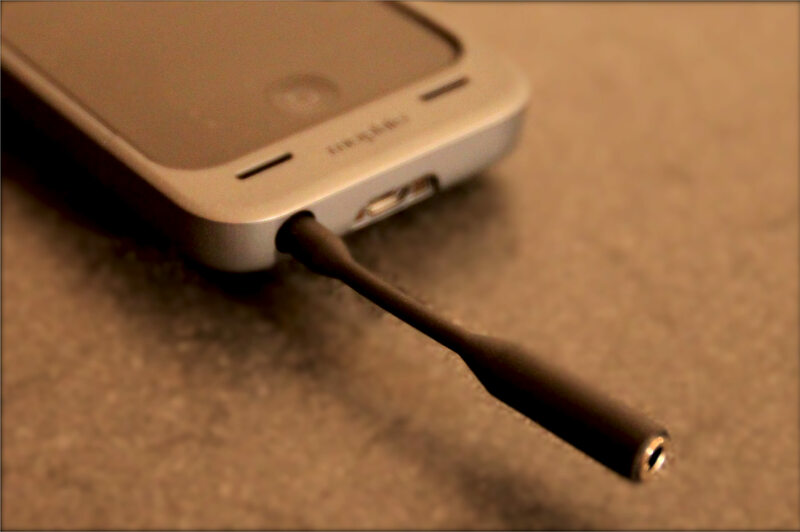 Most headphones would still be able to attach to the headphone jack, but some would require an adapter to fit with the case on. In extreme situations, I could slide off the top of the case to fully expose the headphone jack. 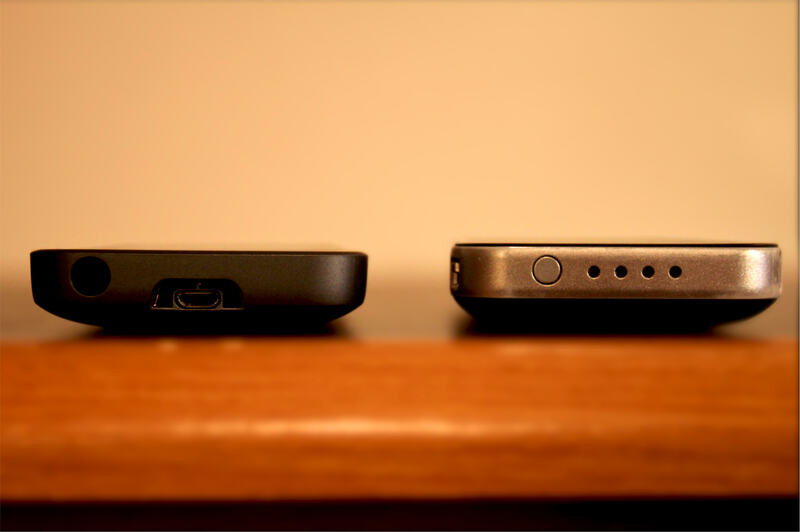 In contrast, the Juice Pack Helium on the iPhone 5 blocks access to the headphone jack quite a bit more. This is due to the fact that Apple decided with the iPhone 5 to move the headphone jack from the top of the iPhone to the bottom. Thankfully Mophie included a small adapter cable with the Helium that can reach the headphone jack and attach your favorite headphones. 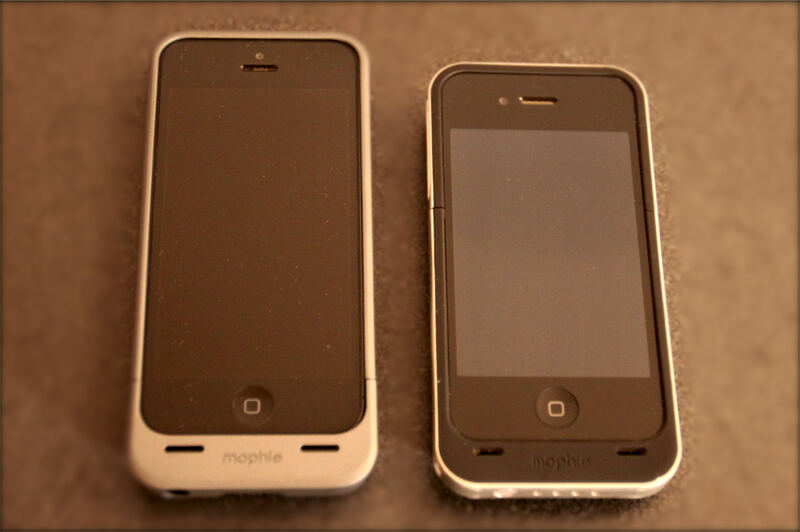 Both versions for the iPhone 4S and the iPhone 5 come with a 1500 mAh battery, which Mophie claims will extend the battery life of the iPhone 5 by 80 percent. And despite some of the minor inconveniences regarding length and access to the headphone jack I will be using this as my every day case moving forward. Nothing is more annoying than running out of battery life. I really enjoyed my Mophie Juice Pack Air with my iPhone 4S and have been looking forward to getting my hands on the Helium case for my new iPhone 5. I had the same issues with yellow warning triangle no matter what power adapter I used, no to mention the headphone challenge. Mophie is a good company, but this design lack some thought. One other thing, like many of us who have been waiting for the Helium since the iPhone 5 was released we’ve all purchased our fair share of lighting connectors. So a design consideration would have been to put a lighting connector as part of the new Helium not Micro USB. Hi, my boss already lost the headphone adapter do you know what to do. Can I buy something simular. I waited so long for this to come out just to be disappointed. A though that mophie might have finally made a case for those of us that wanted to truly get are iphone 5 battery to double but no. Im stinking to my phonesuit power core micro http://bit.ly/VMpICB get a TRUE full charge and can use it with other devices $ well spent. I am finding that the Mophie 5 will play perfectly find with the new ear pods, but the controls for start/stop and volume up/down do not work. Has anyone else seen this? I got mine today. After charging for a while the iphone displays a yellow triangle and says that charging is not supported by this accessory. The phone stops charging through the micro usb port. Must be a defect already. I just received my helium juick pack yesterday (valentines day) and it came “fully charged” so it said – well all the lights lit up on the case when i checked. However, it did not charge my phone all the way full the first time. It only charged it to 80%. The instructions said to wait until the phone batter was down to 20% before “flipping the switch”. That is what I am doing as we speak. I have three lights left at 57% so I am not sure if its going to make to 100% or not. I was hoping that it would charge to 100% and still have a bit left over. I too had the Iphone 4 with the mophie air and it did charge to 100% with some left over. Just was wondering if I might have a defective juice pack or if it might be the settings I have set on this phone or if anyone else might be experiencing the same issue. Or is it because this faster processor requires more energy? Keep in mind that you will lose some power due to the charging process. the new Juice Pack seems more cute!